With the sunshine comes the desire to spend as much time as possible outside and enjoying it, for fear it will disappear as quickly as it manifested and leave us feeling like we’ve been cheated for yet another year. As soon as it gets a little warmer I’m out there on the balcony, in the park or making any excuse to sit outside in a beer garden; what can I say, apart from the fact the warm rays on my face fill me with glee! Although we’re well versed in protecting our skin and bodies from the sunshine, or replenishing the moisture we’ve lost by spending hours upon hours in the pool, our hair is often something that gets forgotten. It’s just as important to look after our barnets (and scalps) for shiny, healthy and colour rich locks all year round – so here are four of my current hair heroes I know can help. During the summer months our scalp is exposed to the heat of the sun more than usual, especially if you have a tendency to wear your hair up and therefore expose your parting or hair line, but we tend to forget about looking after it in favour of the hair that sprouts out. This innovative ‘pre shampoo cleanser’ helps to instantly balance sebum levels, while salicylic acid exfoliates to leave the scalp invigorated and refreshed. It’s perfect to use if you have a tendency to overload with product, your hair gets greasy easily, or you’ve noticed mild irritation from sun exposure (which can cause dry and flaky skin.) 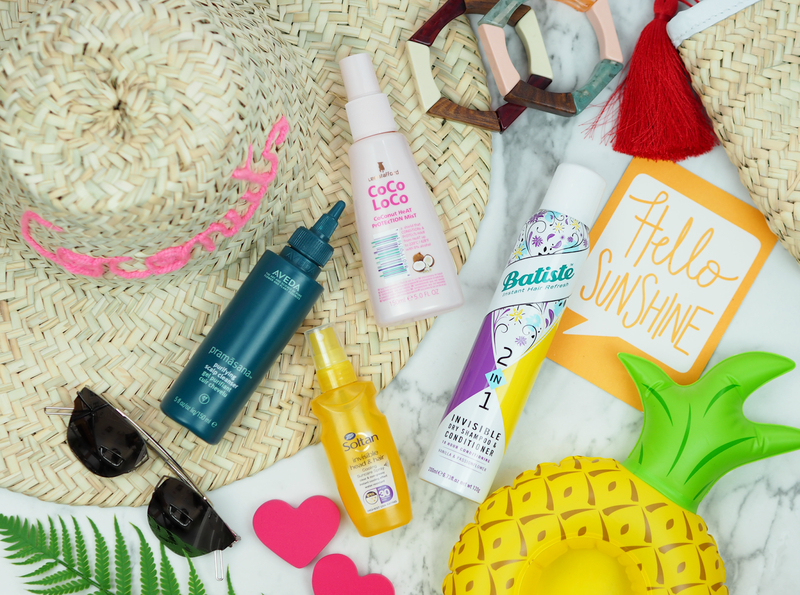 There’s no doubt that a clean and healthy scalp helps your hair to look its most beautiful, but during the summer it’s even more important to take care of it. hair itself – which can become discoloured and dry in the sunshine. 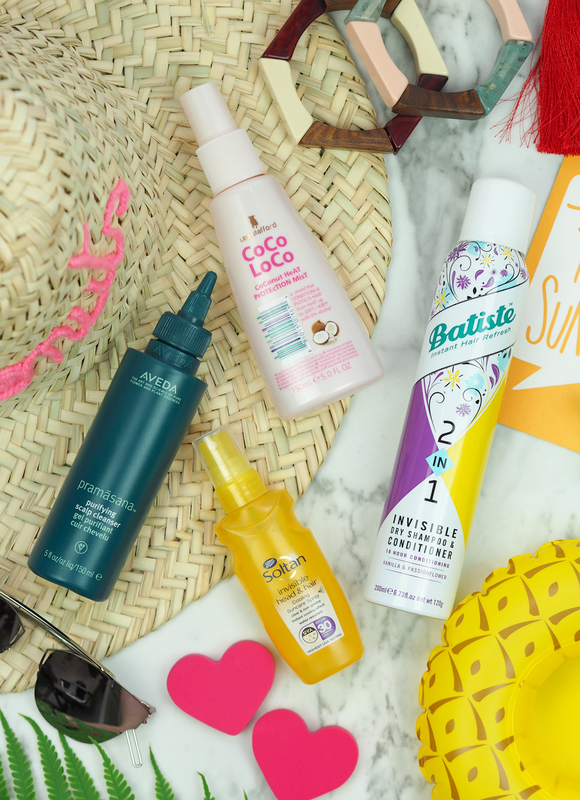 It’s in a small enough bottle to pop in your beach bag (and hand luggage) so you can spritz away safe in the knowledge your locks are protected. hydrating and style reviving qualities of a spray conditioner. If you’re not down with ‘beachy vibes’ and prefer your ‘do to be soft, smooth, nourished and just with a touch of volume, then this is just what you need. It helps to absorb that pesky grease from the scalp, but also inject some goodness to the ends too; plus it’s multi-functional, which is what I’m all about when I need as much room in my suitcase as possible. How will you be looking after your hair this summer? Will you be picking up any of these hair heroes? I love a coconut scent too – especially in summer! They're such classics – this is so much better though, no white marks!